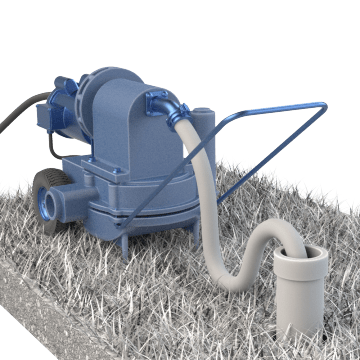 Only for use in clean, dry areas, these pumps can move fluids mixed with sand, mud, and waste. Easily transport these pumps to work sites, ponds, construction areas, and tanks using the integrated tubular handle and wheels. Features include manual start and electronic ignition. Electric-powered pumps are also a good choice for indoor applications since they don't have to be used in well-ventilated areas like gas-driven pumps, and are generally more energy efficient and quieter.